The Xiaomi Mi 6X has finally gone global and we have a play date with the international Mi A2. 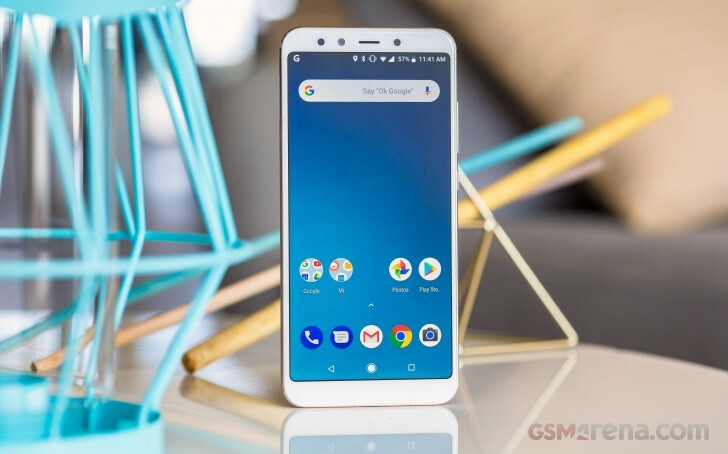 Some big shoes it has to fill - the Mi A1 was such a well-rounded yet affordable smartphone that it would regularly feature in our review conclusions as the main alternative for a wide range of competitors. Can the Mi A2 top that? For one, this year's chipset is a notch (or several) up - the Snapdragon 625 in the Mi A1 was all about endurance, while the Snapdragon 660 in the Mi A2 is similarly frugal, only vastly more powerful. Speaking of notches, there isn't one to spoil the top of the Mi A2's display. It's a contemporary 18:9 unit, the almost-6-inches in diagonal FullHD+ LCD that Xiaomi's already used on a bunch of smartphones. So, that's another one where A2>A1. Display: 5.99" IPS LCD, 1,080x2,160px resolution, 18:9 aspect ratio, 403ppi. Rear camera: Primary 12MP, Type 1/2.9" sensor, 1.25µm pixel size, f/1.75 aperture, PDAF; Secondary 20MP for low-light, Type 1/2.8" sensor, 1.0µm pixel size, f/1.75 aperture, autofocus, pixel binning. 2160p/30fps. Front camera: 20MP, 1.0µm pixel size, f/2.2 aperture, Auto HDR, pixel binning. 1080p/30fps video recording. OS: Android 8.1 Oreo (part of Android One). Chipset: Qualcomm Snapdragon 660: octa-core CPU (4x2.2 GHz Kryo 260 & 4x1.8 GHz Kryo 260), Adreno 512 GPU. Memory: 4/6GB of RAM; 32/64/128GB storage; no microSD slot. Battery: 3,000mAh Li-Ion (sealed); QuickCharge 3.0 fast charging. Connectivity: Dual-SIM; LTE, USB-C; Wi-Fi a/b/g/n/ac; GPS; Bluetooth 5.0, IR blaster. Misc: Rear-mounted fingerprint reader; single down-firing speaker; no 3.5mm jack (adapter in the box). Which brings us to the changes that can't really be interpreted as an improvement. Xiaomi might want you to believe that the Mi A2 is now even more affordable, because there's a 32GB storage version, and you also get the option for a fully tricked out 6GB/128GB one for a price premium (the original was only offered in 4GB/64GB trim). What doesn't make it to the press materials is that the microSD slot is now gone. Boo! Another victim with this generation is the 3.5mm headphone jack - and we thought midrangers were immune from this spreading fad. At least there's an adapter in the bundle. 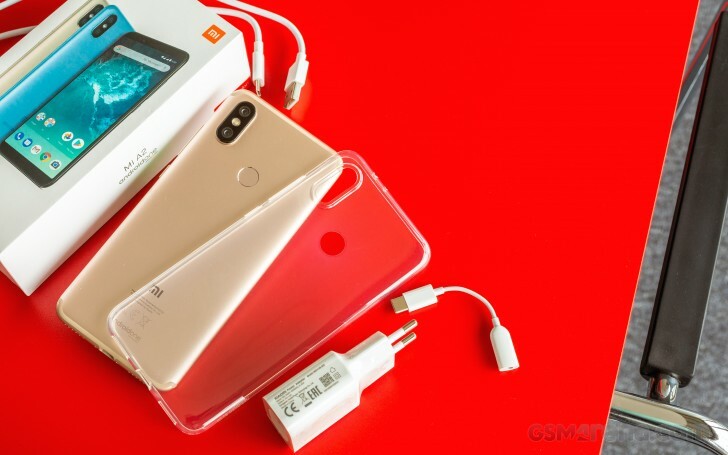 The Mi A2 comes in a rather unusual box as Xiaomi packaging goes - it's not the flat black boxes of the Mi Mixes and the Mi 8, and it's not the bright red packaging of the Redmis either. Instead, it's a white box with a picture of the phone on top and a prominent Android One logo - same as the A1 then. Inside, you'll find the phone, a charger (5V/2A), a USB-C cable to go with it, and the USB-C to 3.5mm dongle we mentioned. With the A2, Xiaomi also throws in a soft silicone case - there was no such treatment for the A1, so that's something. Let's focus on the phone, though - a bunch of photos and a few words on the design to follow on the next page. i have this phone, fast and stylish and with android p the battery life became great.